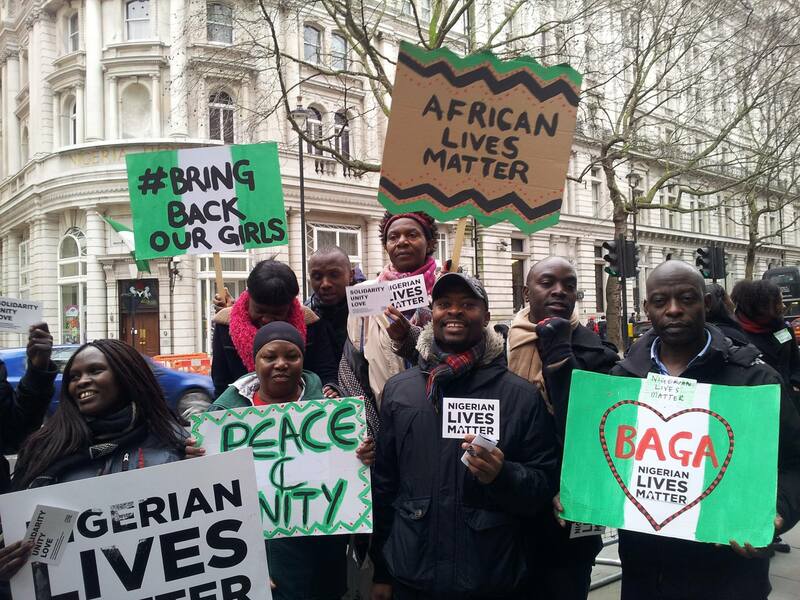 Picture by Amma Fosuah Poku – London protest held on 25/01/15 against Boko Haram’s atrocities in Nigeria. Some years ago I remember reading in one edition of The Economist how different countries valued the lives of their citizens. Japan topped the ranking. Africa as a whole was at the bottom of the index that the newspaper had put together. Democracy and development of a nation go hand in hand. Furthermore, change is part of life and nature. Political change in any country should not normally come about violently. Unfortunately for Africa, rare have been situations where new governments have emerged from democratic processes allowing citizens to choose their leaders. Instead, military coups, wars of “liberation” and or electoral violence have been some of the methods used. 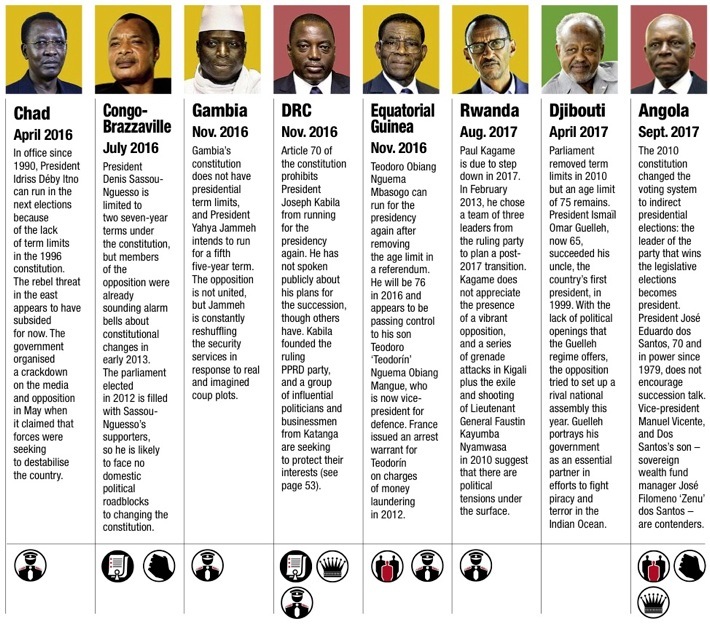 Today Africa has twelve countries: Togo, Sudan, Burundi, Uganda, Chad, Congo Brazzaville, Gambia, Democratic Republic of Congo, Equatorial Guinea, Rwanda, Djibouti, and Angola, which will be going into presidential elections from now on until 2017. What the leaders of these countries have in common is that they will have already served two terms or more and will be seeking to extend their stay in office. After the forced resignation of the Burkinabe president Blaise Compaore on October 31st 2014 following people’s uprising in Ouagadougou streets, a number of other African leaders who were planning to amend their constitutions to stay in power had to review their tactics and strategies. This was the case of Yeyi in Benin and Kabila in the Democratic Republic of Congo. Others like the Rwandan president Paul Kagame, have gone back to the drawing board to reassess their next move after the expiry of their authorized time in office. People get leaders they deserve. If Africans want better leaders who abide by the law and serve citizens’ interests rather theirs, they can have them. It depends on how badly they want to have such leaders. The idea of an African Coalition Against Third Terms [ACATT] is initiated to work out how Africans can think and work together to end the detrimental overstay of political leaders who abuse their office and jeopardize citizens’ prosperity by their selfishness. New technology and available space of expression of the African diaspora could and must play a significant role in such effort. The aim of ACATT is to end presidential third terms in AFRICA and limit to 10 years the maximum time one person can spend as president of an African country in their lifetime. 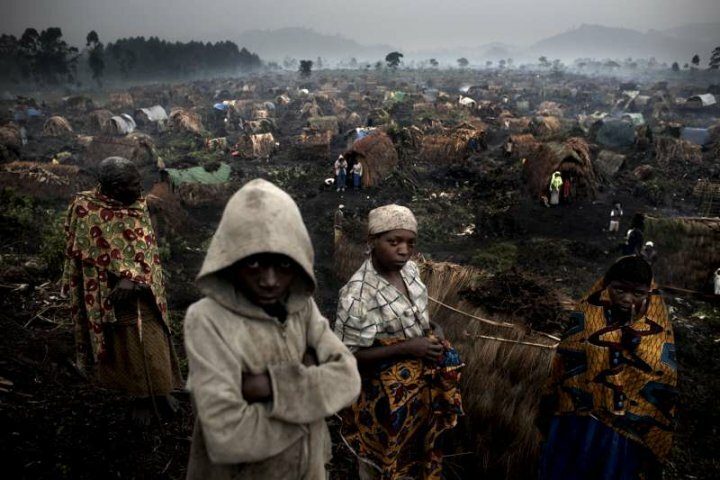 Hunted Rwandan Hutu refugees in DRC in 1997. FDLR, who are mainly survivors of these pogroms where more than 500,000 were systematically tracked and massacred by Rwandan and Ugandan forces with the held of US and UN (there is today ample evidence showing that american intelligence informed attackers on refugee movements by using satellite communication), emerged from the community to protect the group from total extermination. 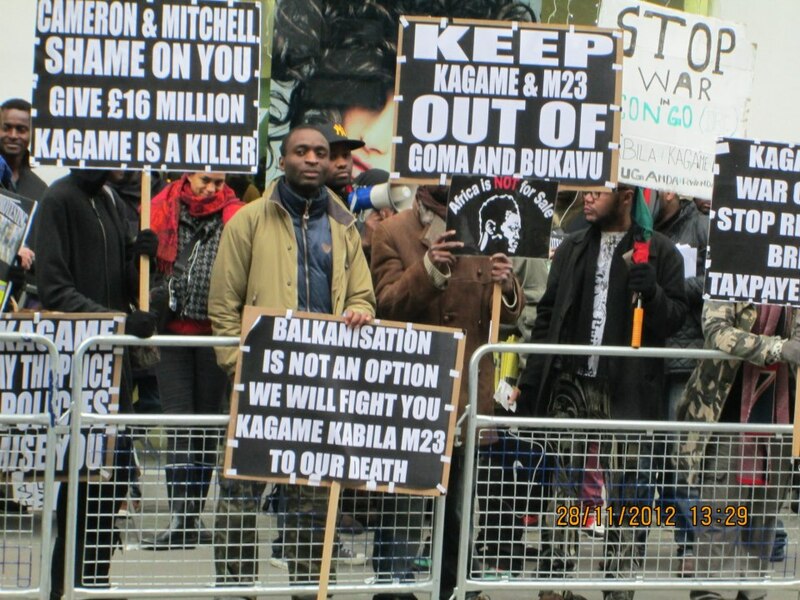 FEINGOLD AND U.S: DON’T HELP START ANOTHER RWANDA GENOCIDE! 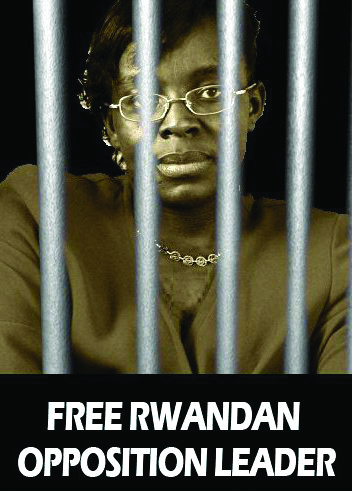 Victoire Ingabire, Rwandan politician woman incarcerated on October 14th, 2010 for daring to challenge Paul Kagame in presidential elections. Victoire Ingabire has redefined the concept of courage in African psyche. It will anymore be an exclusively manly characteristic. On January 17th, 2015 five years will have passed. It was effectively on a similar day of 2010 that she landed at the International Airport of Kigali (previously called Aeroport International Gregoire Kayibanda in honor of the first Hutu president of Rwanda).